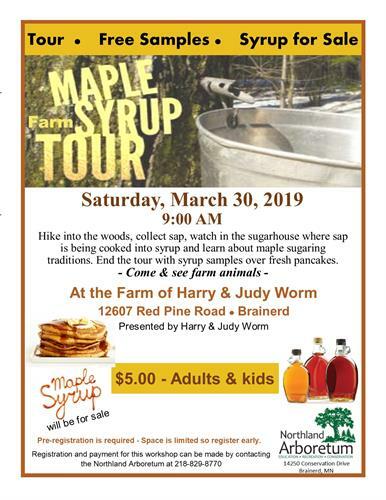 Hike into the woods, collect sap, watch in the sugarhouse where sap is being cooked into syrup and learn about maple sugaring traditions. End the tour with syrup samples over fresh pancakes. Pre-registration is required and space is limited so register early. Registration and payment for this workshop can be made by contacting the Nothland Arboretum at 218-829-8770.